My calling was to organize a pro-life protest. I don’t mean my vocation to priestly ministry, through which I’ve supported many pro-life initiatives. In this case, I mean a literal phone call from a nearby pastor, asking me to help him respond to a Planned Parenthood fundraiser scheduled in our neighborhood. My parish sits in the western suburbs of Pittsburgh, dominated by rust-belt communities where the main religious affiliations are Catholic, lapsed Catholic, and ex-Catholic—not necessarily in that order. Most folks are neither culture warriors nor social justice warriors, but plain, working-class folks trying to make ends meet. Developers sometimes buy up the cheap properties for creative or experimental enterprises. One such developer was Hans, a genial immigrant who’d grown wealthy in Germany and come to my town to launch a storefront theater. In an apparent effort to brand it a bohemian venture, Hans plastered the display windows with scene photos that thirty years ago might have been considered avant-garde: gay kisses, prostitution, and other suggestive images. None of this attracted much local attention, and in the meantime Hans took a leading role in improving the neighborhood. We got along well enough, or so I believed. Then last May, Father Jason, the local Byzantine Catholic priest, told me Hans planned to host a cabaret to benefit Planned Parenthood. Fr. Jason asked for my help in protesting this intrusion of nationally sanctioned violence into our hitherto peaceful neighborhood. I was at first reluctant to participate. How would a protest heal a neighborhood offended by Hans’s cabaret? Surely Hans and his patrons would take offense in turn. No lives would be saved, no hearts converted. But then I considered not participating. My brother priest, for good or ill, had called a protest. What would it mean for me not to stand with him? What might it mean for a neighborhood to admit a Planned Parenthood fundraiser, without objection? 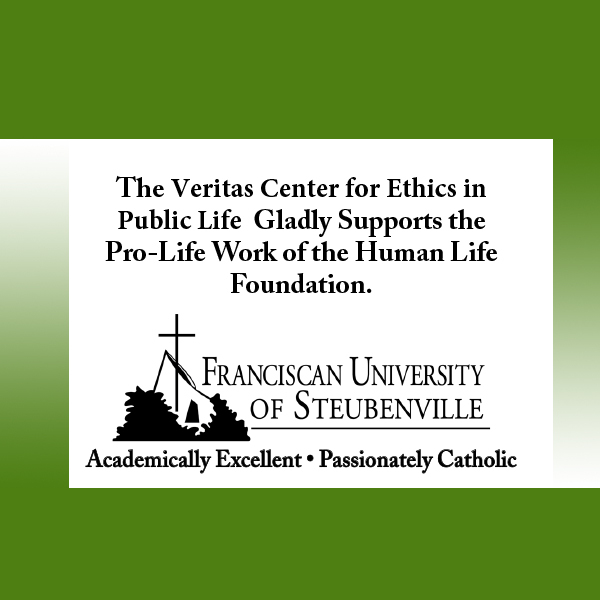 I had learned that since government funding of Planned Parenthood may not be used for its abortion business, abortion is the principal beneficiary of monies from private fundraising such as Hans’s cabaret. After consulting my parish advisors, I committed to joining Fr. Jason. I invited a few dozen of my own parishioners, selected for their experience and/or good judgment. I wrote to civic leaders, explaining my view of the situation. Not wanting my bishop to be blindsided by any publicity, I advised diocesan officers of my plans, and received from them helpful advice. They permitted me to reprint a stirring article my bishop had written on Planned Parenthood, in which he explained how whatever good the institution might do is badly overshadowed by the great evil of abortion. We planned the protest to coincide with the opening of the cabaret. Back at my church, the assistant pastor and a dozen or so parishioners conducted a holy hour during which they prayed for us. Three priests, nearly thirty of my parishioners, and a few from Fr. Jason’s church came to the protest and participated gracefully in the prayer service he had prepared. Slightly more than half the protestors were female. The municipality sent a police car to monitor us, for which I was grateful. The cabaret itself was poorly attended: Fewer patrons entered through the front door than protestors stood outside. Our protest suffered two flaws. First, one of the Catholic participants had heard of our plans and invited his own circle of pro-life friends to come. His invitation implied we pastors would be conducting a prayer vigil, while his would be a “more ‘vocal’ group to let them [the cabaret patrons] know of our disdain.” He brought a megaphone and used it to lob aggressive prayers, e.g., “Jesus, shut Planned Parenthood down!” Fr. Jason knew him and recovered the protest’s decency by “borrowing” the megaphone for his own prayer service. Still, the protest concluded peacefully. I regretted the earlier megaphone aggression, but we quickly moved into more dignified prayer. Inasmuch as I think of such protests as low-benefit, high-risk undertakings, I reckon it a success that we avoided major embarrassment to the pro-life cause or to the Church. Two months later, parishioners alerted me to the possibility of a counter-protest. Again I consulted diocesan officials and again they provided helpful guidance. I advised my festival staff and volunteers, instructing them to ignore the counter-protest if at all possible. Just in case, I asked a few savvy women to be prepared to interpose themselves between the counter-protesters and any festival patrons who might be surprised by the intrusion. Here I asked them to be especially protective of males, again lest we inadvertently provide the possibility of a photo feeding the abortionists’ narrative: Patriarchal oppression versus female self-determination. The counter-protest transpired, but only barely. Seven protesters dressed in costume assembled and walked the several blocks from the theater to my church. They arrived during the dinner hour, when most patrons, seated at tables set up in the street, were eating and listening to music. The “handmaids” approached via an alley, hidden from view until they appeared at the periphery of the festival area. They walked briskly down the half-block from the alley to the main façade of the church, then turned around and walked away. Though a videographer filmed them the entire time, they made no effort to identify themselves, pause, or engage people. They were in view of festival patrons for only about 90 seconds. They didn’t carry any signs. From the patrons’ perspective, they appeared to be a small group of women, dressed in red robes, circling the church. I heard three festival patrons, who hadn’t been forewarned about the counter-protest, speculating that the handmaids were a satanic group conducting an occult ritual. In a way, that’s not far from the truth. You can read Bishop David Zubik’s article on Planned Parenthood here. You can see media on the counter-protest here and here. Fr. David Poecking is the pastor of St. Elizabeth Ann Seton Catholic Church in Carnegie, Pennsylvania. 422 people have visited this page. 1 have visited this page today.